Everybody loves banana bread — but a huge, dense loaf of carbs can be intimidating. 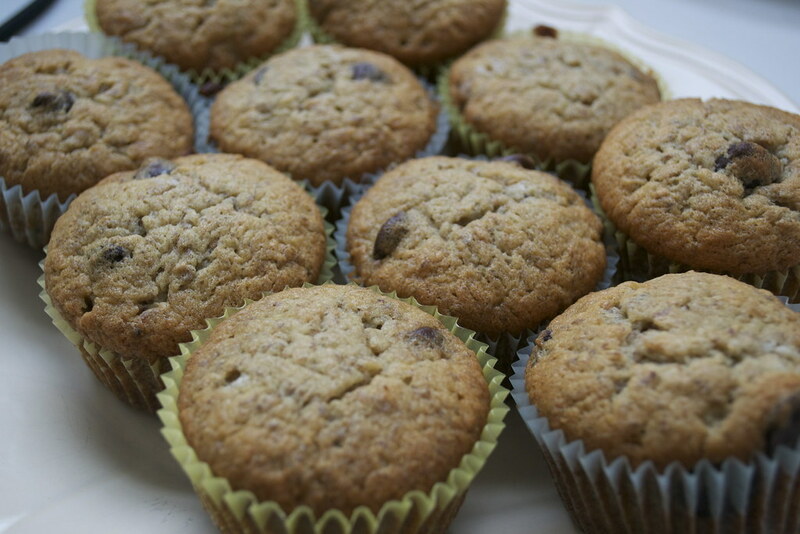 Think of these little banana chocolate chip muffins as portion-controlled banana bread bites. Sure, they may be in muffin form, but they are every bit as moist and fluffy. You probably won’t taste it, but they’re also better for your waistline. By simply swapping half of the allotted sugar and all-purpose flour content for Splenda and whole wheat flour, not to mention the added health benefits from flaxseed, you won’t feel too guilty if you end up having more than two for breakfast, dessert or a midday snack. 2. 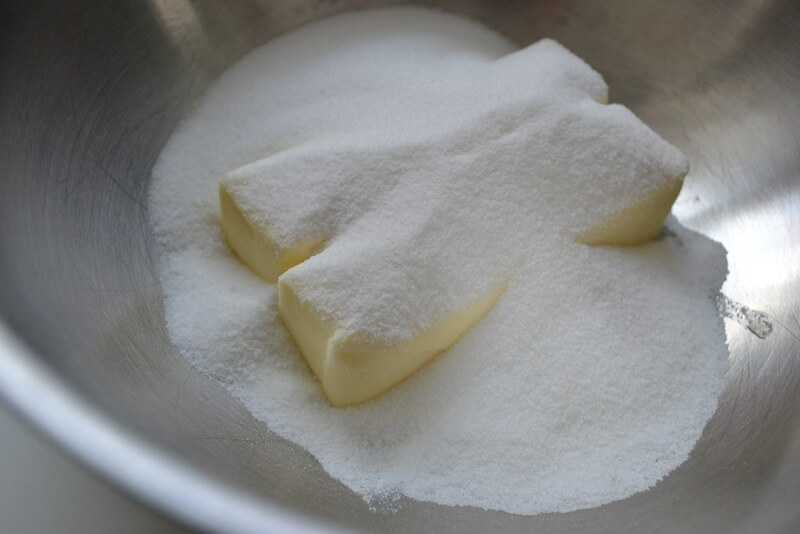 In a large bowl, mix together butter and sugar until completely smooth. 3. 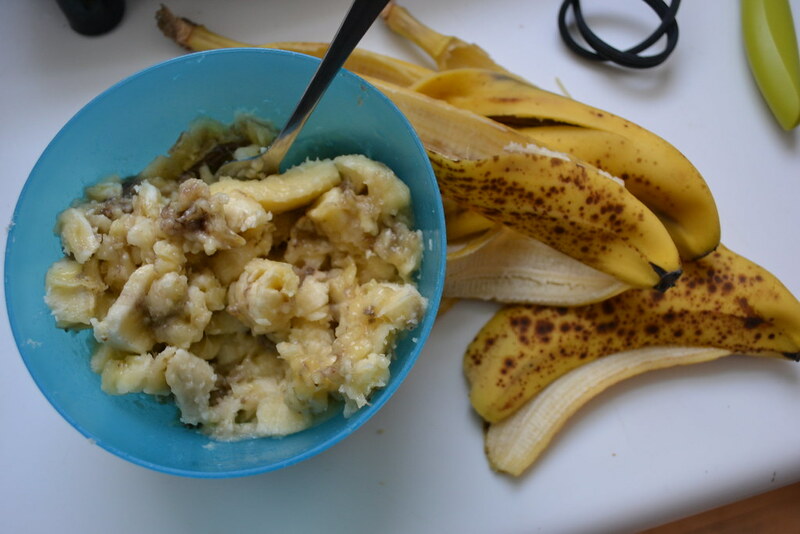 Mash bananas and add to bowl. Mix well using wooden spoon or rubber scrapper. 4. Add baking soda, both kinds of flour, wheat bran and flaxseed. Mix until lumps are gone. 5. 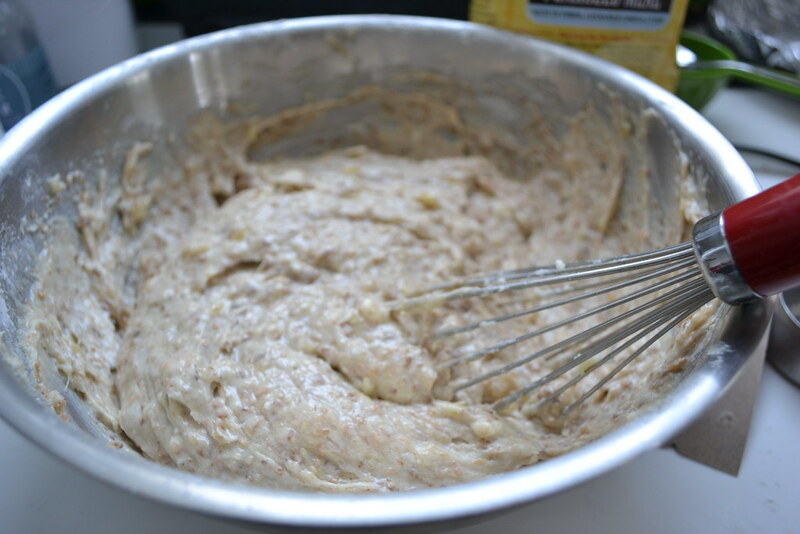 In a separate bowl, whisk eggs and add to batter. 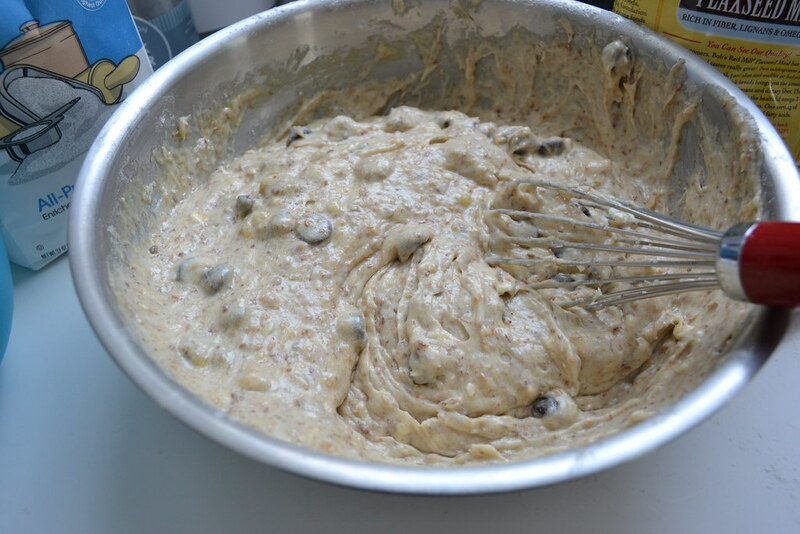 Add in chocolate chips and any other optional ingredients. 6. Spray muffin tin with non-stick cooking spray. Spoon batter into muffin cups and bake for 20 minutes, or until tops are slightly golden.